"Lets see how many can get past Checmical Plant Act 2 this time..."
New footage has emerged of a few new zones from the upcoming Sonic Mania game. In the footage, we get to see a return of the new and improved Chemical Plant - featuring new gimmicks such as bouncy gelatine fluid and sticky walls. 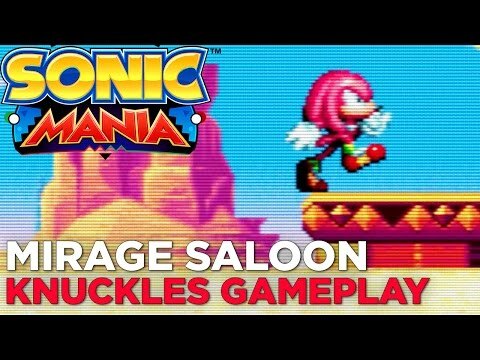 Other footage shows 10 minutes of gameplay each in the Mirage Saloon and Studiopolis zones (the latter you may have already seen).